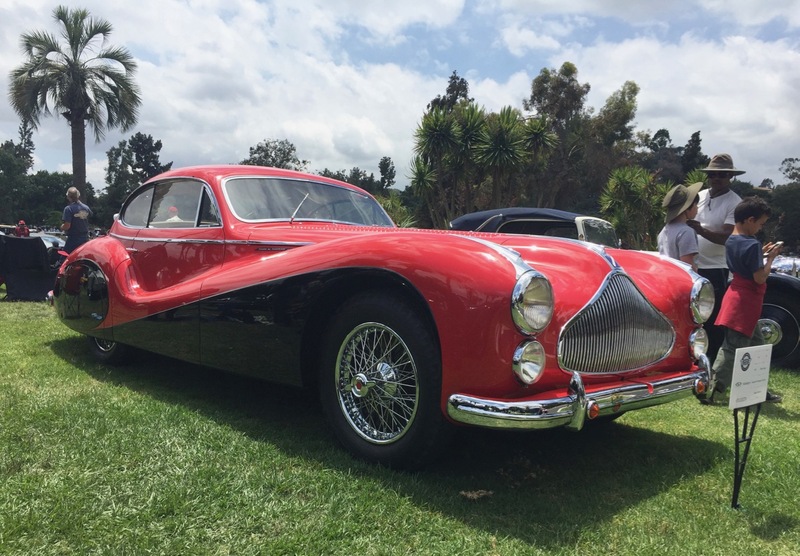 Founding chairman Aaron Weiss has led the thoughtful growth of the San Marino Motor Classic and Southern California Region Classic Car Club of America Grand Classic — to its current celebrated success. 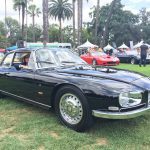 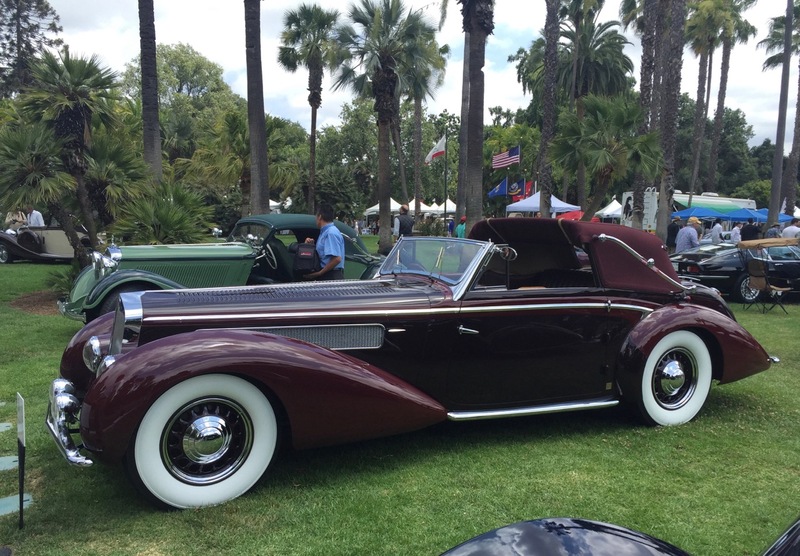 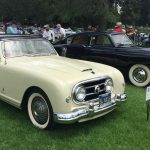 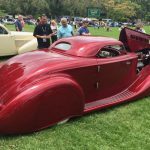 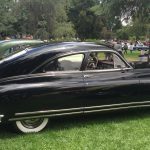 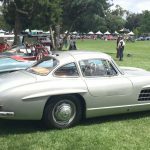 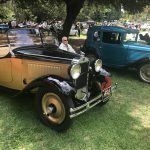 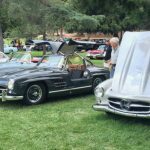 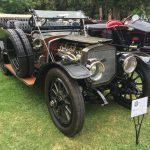 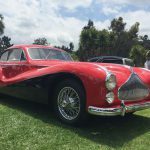 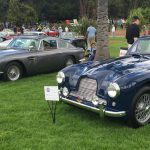 Founding chairman Aaron Weiss has led the thoughtful growth of, official title — the San Marino Motor Classic and Southern California Region Classic Car Club of America Grand Classic — to its current celebrated success in spacious, and shaded, Lacy Park. 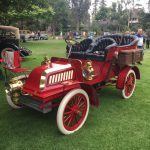 Weiss proudly shares the accolades with his dedicated, detail-focused volunteer team that has helped the 7-year-old event contribute $1.25 million to be shared by Pasadena Humane Society, the San Marino Rotary Foundation, and the University of Southern California Trojan Marching Band that fills the forest-skirted park during the car event with a broad range of artfully romantic tunes from the last century. 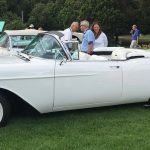 This year, the entries neared 300, divided into 32 classes, with awards for first, second and third in each. 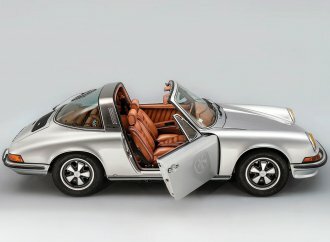 Then there are no less than 10 special awards for as many special reasons. 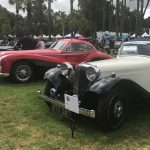 It took some serious effort to go home without an award, not least of which would be memories of conversations on the field with knowledgeable and enthusiastic spectators or groups of spectators — all wearing the smile of grateful friends of the hobby. 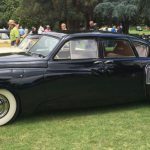 Emblematic of the style of the Motor Classic are the car design classes that include all the traditional pre WWII “classic” marques and styles from America and Europe, but much of the event’s growth is the result of cars everyone loves: American post-WWII luxury cars in open and closed versions, the always fascinating American post war “orphan” makes that were family favorites until they simply disappeared. 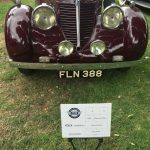 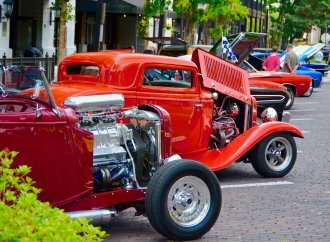 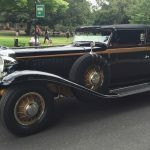 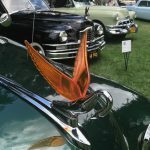 There also was a great group of American Austin and Bantam cars. 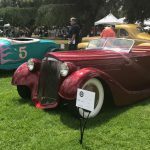 Hot rods attracted only one ’28 Ford race car and a ‘34 Packard that was a completely hand-constructed steel-body roadster with an electric folding coupe top. 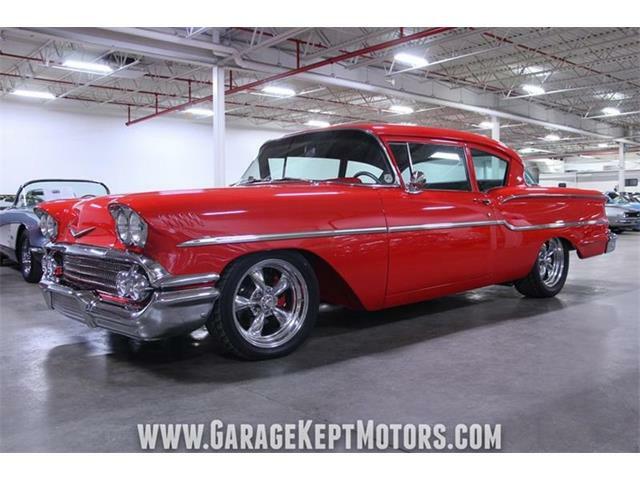 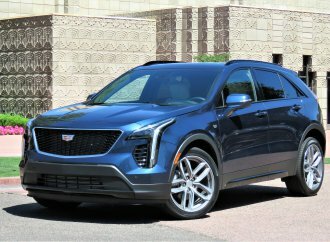 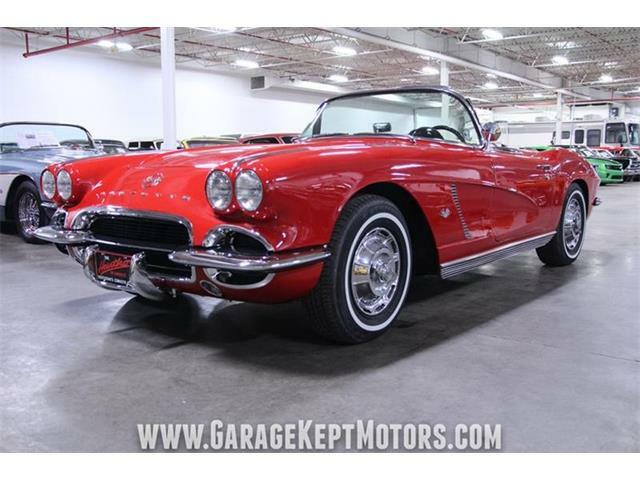 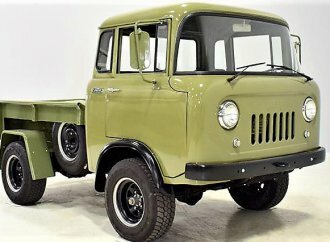 There was a class for Corvettes, “Chevy Tri-Fives (’55-‘56-‘57), and two classes of Chevrolet big-block muscle cars next to one combining Ford and Chrysler (the simultaneous engagement of all the clutches at max torque could change the rotation of the earth). 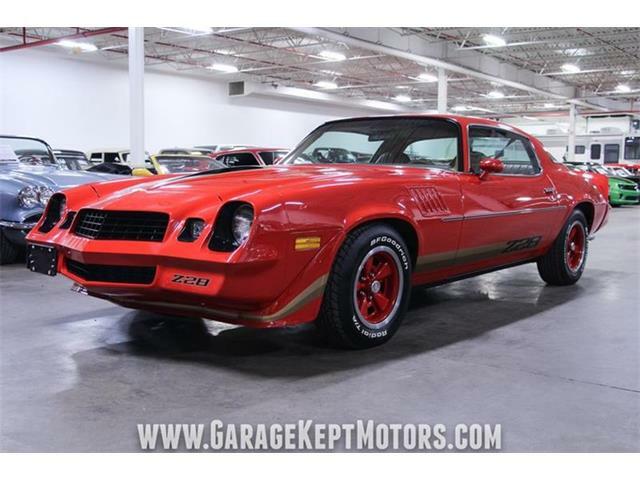 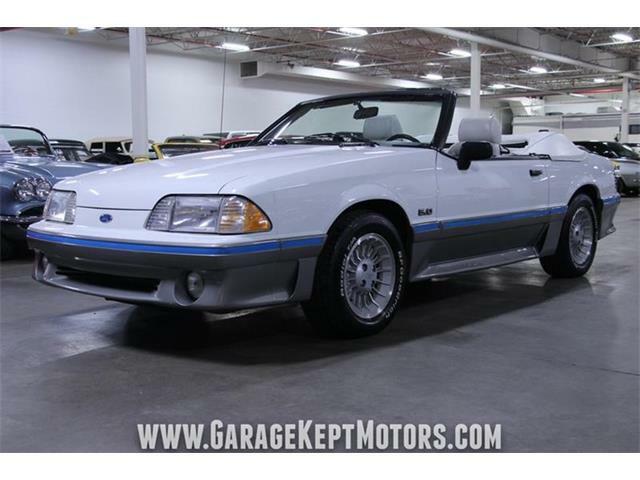 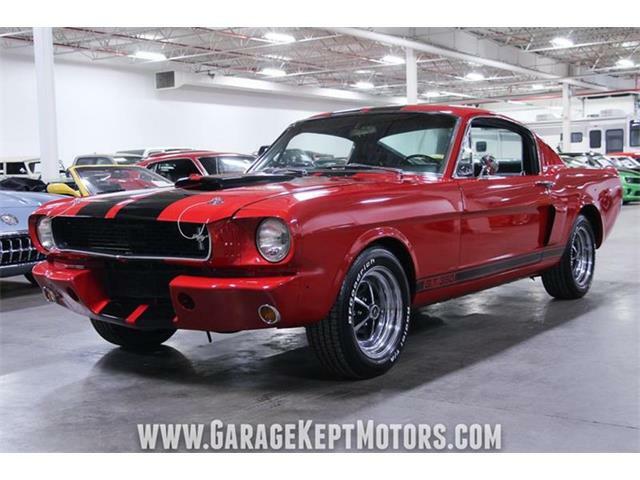 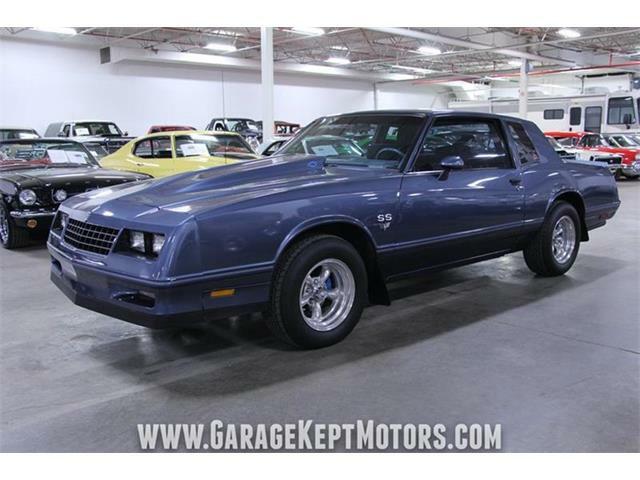 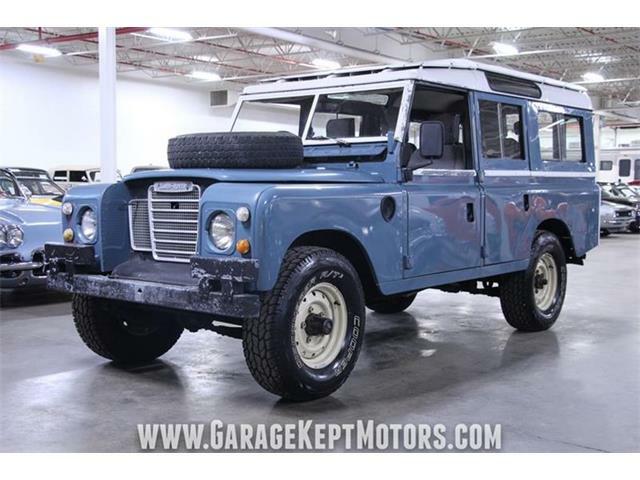 There were classes for “pony cars through ’73, unmodified Woodies, and American pickup trucks. There were lots of sports car classes: four classes for Porsche, four for Mercedes-Benz, two for Aston Martin, two for Jaguar, one each for Lotus, British sports cars (read: MG, Morgan and “other”), one for Italian (non Ferrari), three for Ferrari. 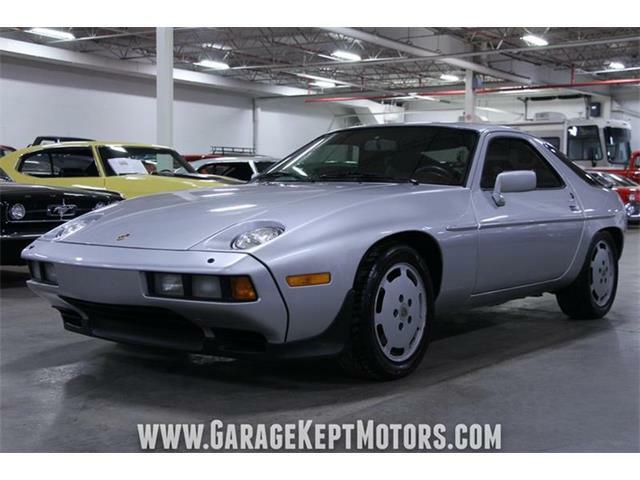 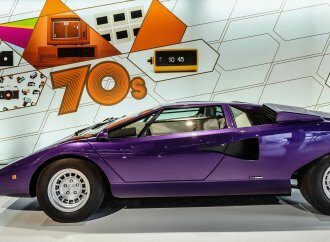 There was a small collection of Volkswagens and a large collection of modern super cars, hyper cars and simple exotics of many mind-bending forms. 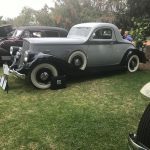 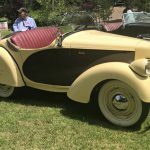 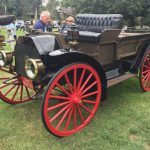 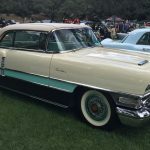 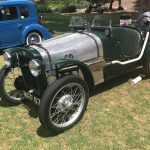 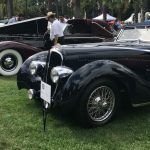 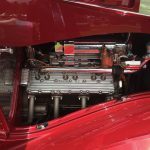 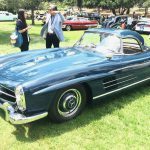 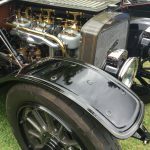 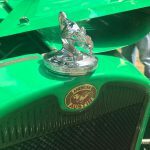 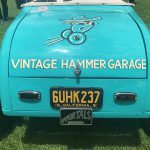 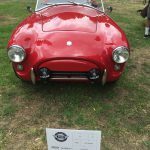 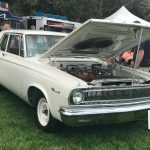 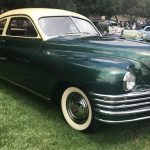 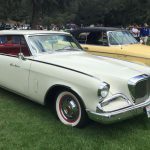 The San Marino Motor Classic has become an exhibit of cars we love in Los Angeles, exhibited by and for enthusiasts of all ages, knowledge levels and temperatures. 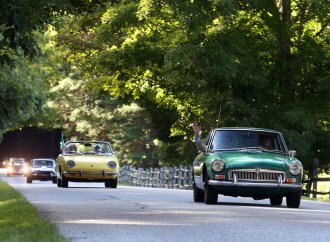 But if you attend, and after making a few laps around the vast meadow in the shade of the ring of forest, visit the food-truck category and then settle in for the long parade of class winners making their way to the worth-the-wait encyclopedic presentations of Ed Justice and Dave Kuntz (of ABC television).